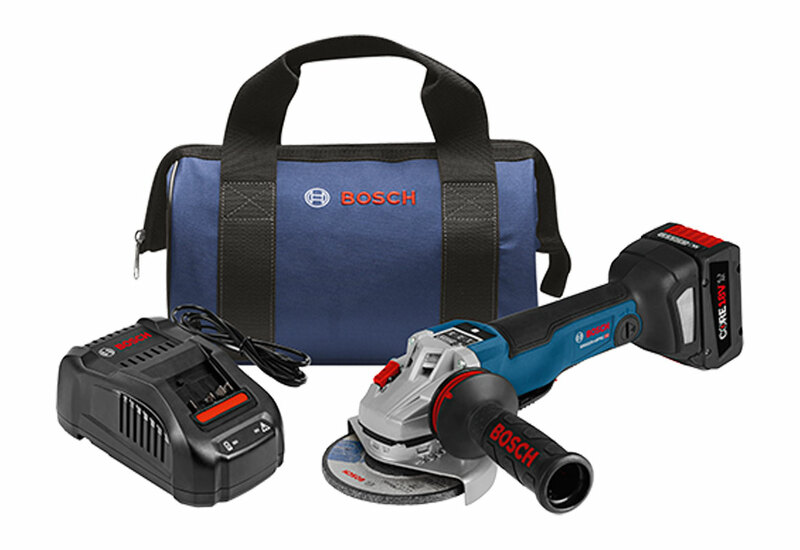 The Bosch 18V 5” Angle Grinder is built for ultimate convenience and portability when grinding materials. 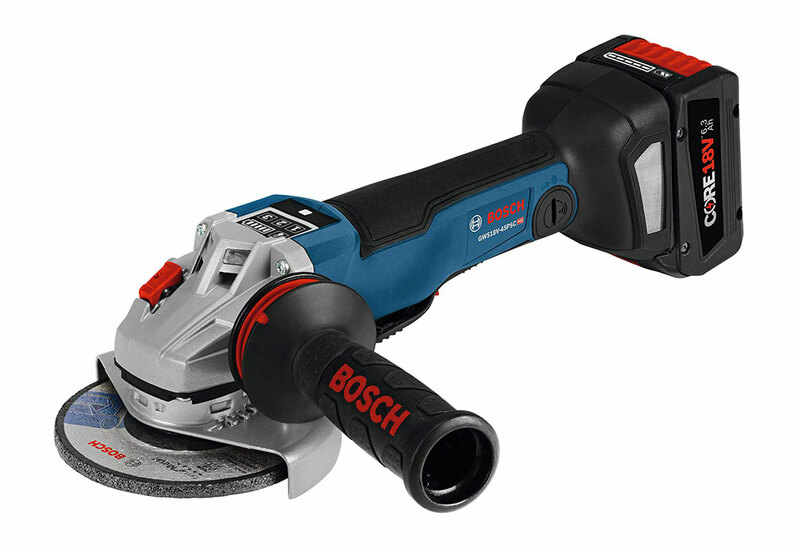 This professional, high-performance grinder comes with a brushless motor, next-gen user control, bluetooth connectivity and advanced electronics. Get vibration control with the two-position side handle for more comfort and less operator fatigue. Control speed, optimize tool to application and get tool and battery status notifications directly through your phone with the free Bosch Toolbox app. 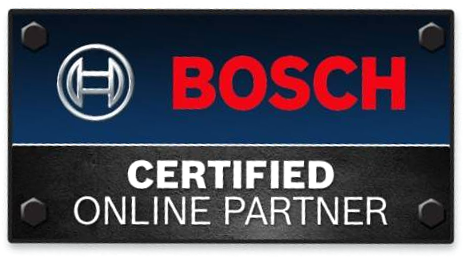 Built to be long lasting with Bosch’s electronic cell protection and electronic motor protection. 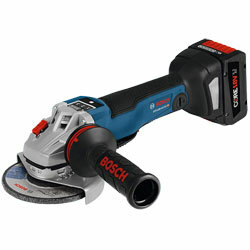 Get up to 35% more power and up to 110% more runtime from this grinder and CORE18V battery! This grinder has restart protection that helps to prevent the tool from accidental start-up during battery insertion. This tool will shut off automatically if dropped. The no-lock-on paddle switch shuts off the motor when the switch is released. Li-Ion: Li-Ion (or lithium-ion) batteries are rechargeable batteries. Li-Ion batteries are built to with a high energy density and only allow a slow loss of charge when not in use. Li-Ion batteries are the most popular batter type for consumer goods, but are also popular in the aerospace, military, electric vehicle industries. Bonded Abrasives: A bonded abrasive is an assembly of abrasive grains fixed (or bonded) within a matrix to create a solid-like form. Angle Grinder: A handheld power tool used for grinding and polishing surfaces like metal and stone. Can also be called a side grinder or disc grinder.